We want to extend to you our personal greetings and a very warm welcome to our dental practice. We are accepting new patients and we are looking forward to meeting you and caring for your dental health. We want you to know that we pride ourselves on making dentistry a pleasant experience for you. We feel it is our responsibility to provide you with the best possible dental services in a comfortable environment. Our objectives are those of high quality and preventive care. We strive to build mutual trust with each one of our patients. Our diagnosis is based on a common goal of achieving maximum comfort, function, health and esthetics. Our practice includes a wide range of dental procedures, including comprehensive dentistry, cosmetic dentistry, implant restorations, crowns, whitening, bridges, pediatric dentistry, sports guards, periodontal treatment, as well as many other esthetic and restorative procedures and options. At the time of your first appointment, we will listen closely to your concerns and conduct a thorough, comprehensive evaluation. We will take the time to give you the personal attention you deserve. The complete examination (including teeth, gums, soft tissue, TMJ, bite, esthetic), periodontal probing, intraoral camera tour and study models. Only necessary patient specific digital x-rays will be prescribed. A thorough cleaning or scaling may also be initiated at this appointment, or at your next visit. The length of the appointment is approximately two hours for adults and the requirements of children will vary according to age and condition. You will get to meet our team of Doctors, Dental Hygienists and Patient Care Coordinators in order to establish a trusting and positive relationship. Before any treatment begins, we take the time with you to explain your dental health concerns. We will advise you of your dental treatment options in order for you to make informed decisions regarding the best course of treatment for your specific dental needs. We have many dental education tools to guide you along the way. 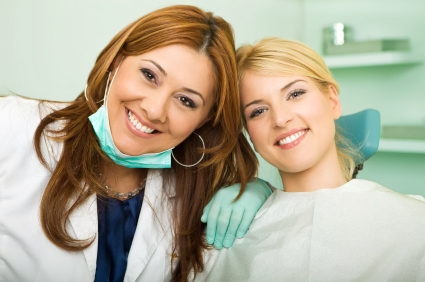 We respect our patients, and our goal is to provide you an atmosphere of mutual trust. Our practice is truly a family practice that is based on word-of-mouth referrals. We often treat many members of the same family, and some of our best patients are referred by some of our best patients. Thank you for choosing our practice to serve your dental needs. We will be happy to answer your questions and overcome obstacles you may face in developing and pursuing your goals. Please feel free to call us at (905) 951-2004. We look forward to meeting you. P.S Please come to your first appointment about 15 minutes early to complete your medical/dental questionnaire. We need this information so we can treat you safely. Arrange for a copy of old x-rays to be sent to your new dentist prior to the appointment. Those records will enable your new dentist to check the last documented condition of your teeth prior to you visit. Please bring a list of current medications you are currently taking or are allergic to. If you have a condition that requires pre-medication. Please take your medication as prescribed by your family doctor. Please bring all insurance information (name of insurance company and policy number) so we can assist you in filling out your form and/ or sending your claims electronically. During your first visit, you’ll have the opportunity to meet the doctor as well as our team members. We recommend treatment to begin with a comprehensive oral examination in order to assess your health. We will perform a through dental examination of your teeth, oral soft tissues, gums, TMJ, bite, and cancer screening. Only necessary digital X-rays will only be taken at the examination. Additionally, we will review your medical records, take your blood pressure and discuss any dental concerns you may have. Based on our findings, we will design an appropriate comprehensive treatment plan with options. During your child’s first visit, he/she will have a chance to meet the dental team and get acquainted to the dental environment. At the first visit, we take the child on an office tour and for a ride in the chair. We also go over dental habits, as well as nutritional habits at home. We do a complete exam, any necessary digital x-rays, cleaning, oral hygiene instruction and fluoride, if indicated. At every visit, we demonstrate proper brushing and flossing techniques. A child’s first visit is to be around the age of two, unless you have a concern prior to this time.